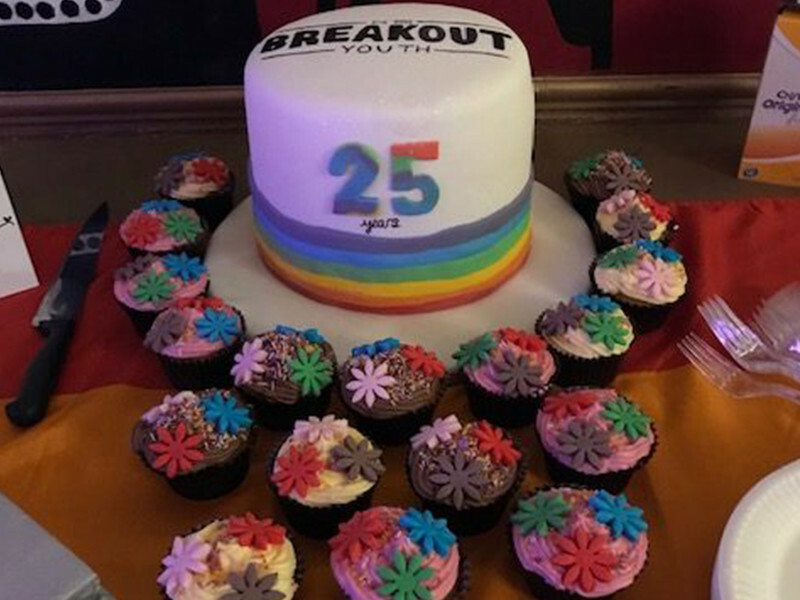 Breakout Youth 25th Anniversary Celebration! 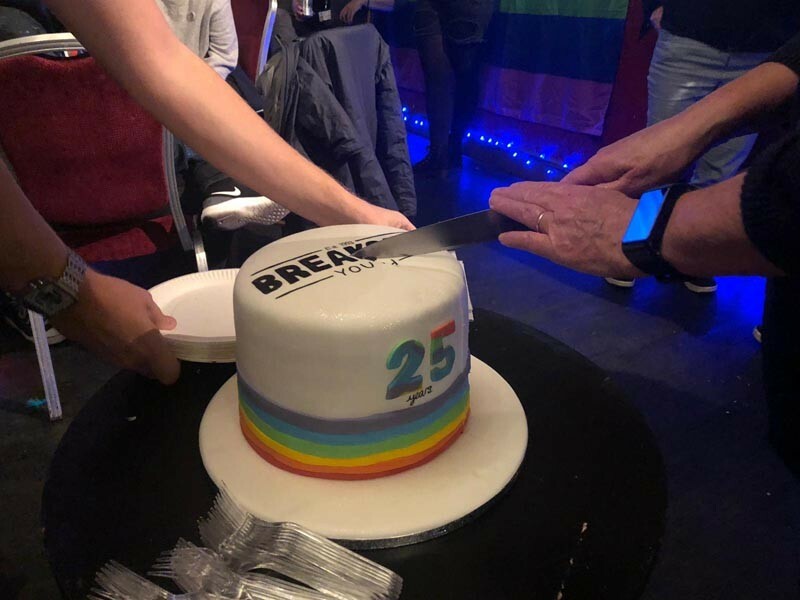 Breakout Youth were delighted to celebrate their 25th anniversary this year on Wednesday 21st November at The Stage Door in Southampton. 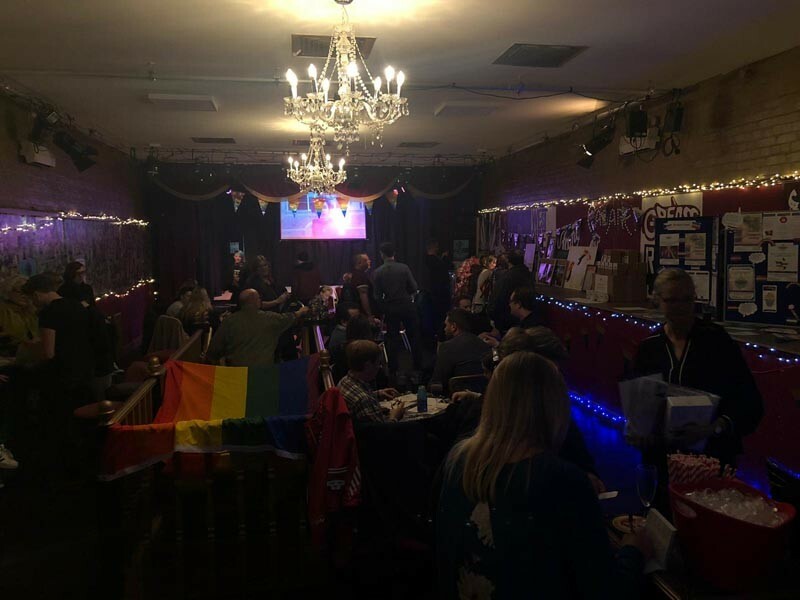 In attendance were some 60 people including Breakout young people, staff, volunteers, parents, trustees and supporters of Breakout. 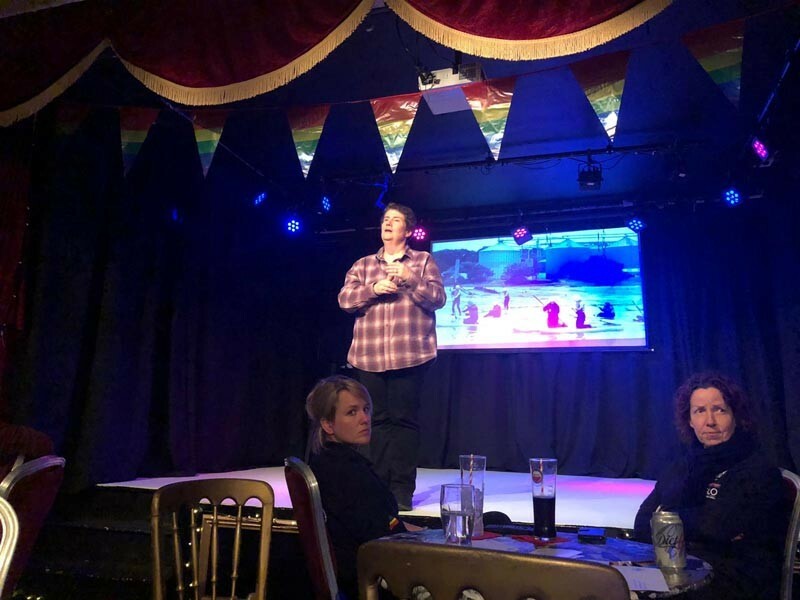 The evening was made possible thanks to the venue (and food) being generously donated by the organisers of Southampton Pride. Thanks also go to local business Liberty Leasing for donating a fantastic selection of raffle prizes, including a football shirt signed by Saints Legend Matt Le Tissier and a £100 John Lewis voucher. Also to local IT business Spectrum Marcoms for their generous donation of £200 to the charity. 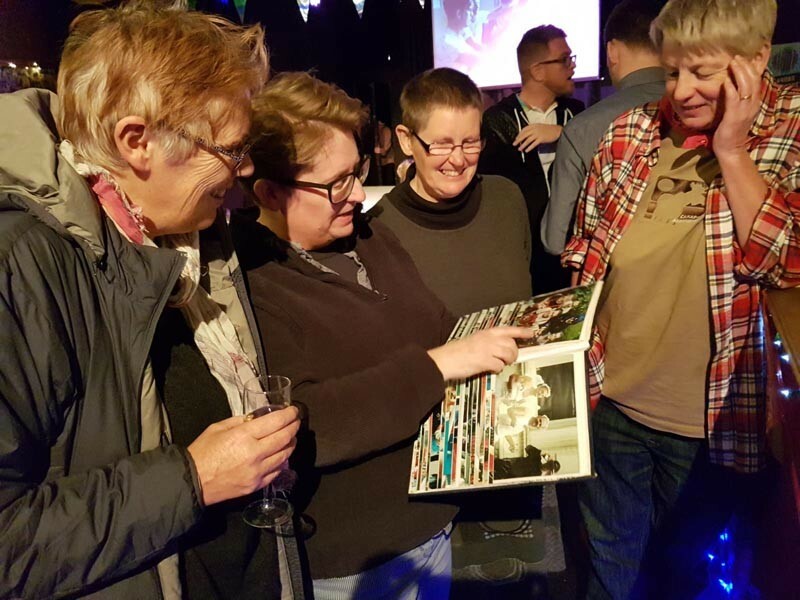 It was amazing to see some faces from Breakouts’ early years, including Annabel Hodgson, who can be seen cutting the cake in the photos! 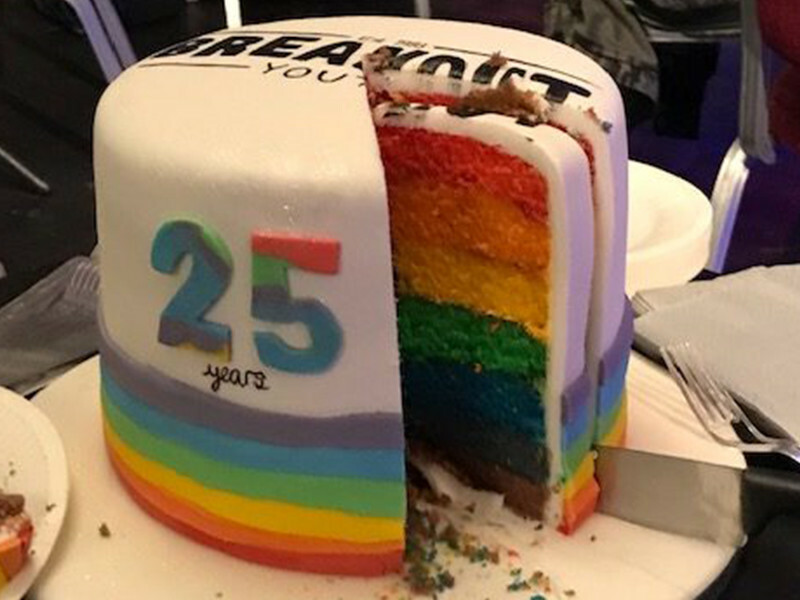 The seven layer rainbow cake was one of the showstoppers from the evening and we would love to thank friend of Breakout Izzie Monaghan for this marvellous creation! We were also privileged to hear from one of our former ‘young people’ who spoke about their experiences and how the support of Breakout had impacted their life (there weren’t many dry eyes in the audience). 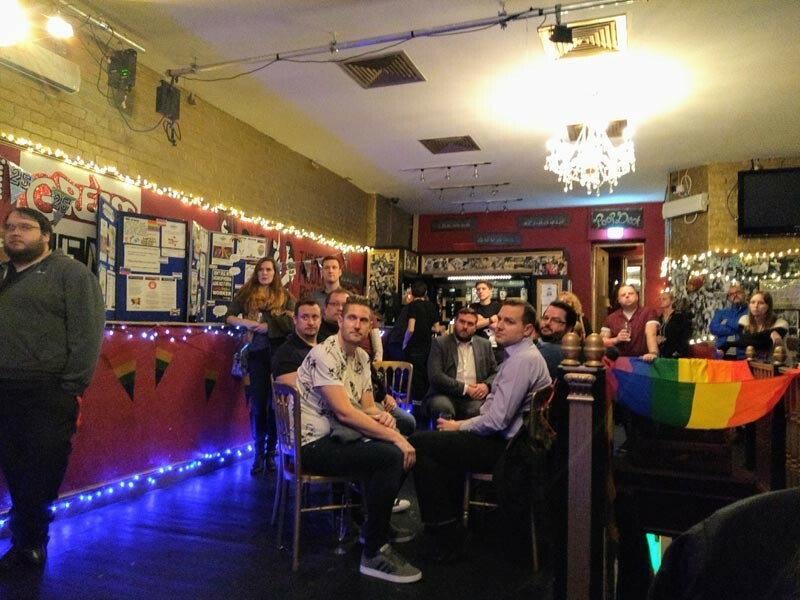 Breakout Youth would like to thank all of those who came along and to those who continue to support the work we do. We are determined to continue to grow and develop Breakout and its services across Hampshire, delivering the best service we can and to support the diversity young people. 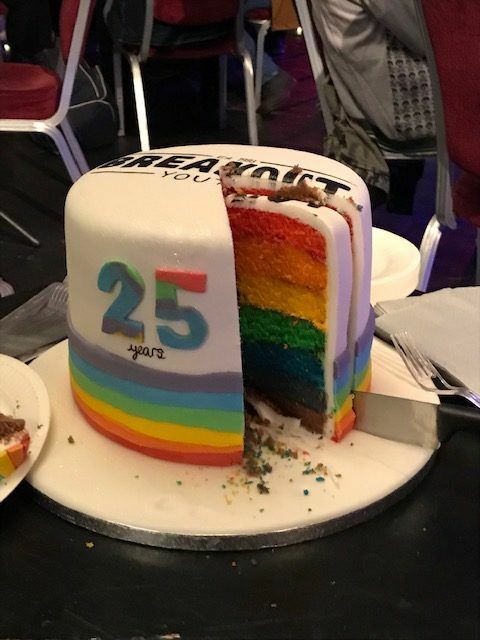 Here’s to the next 25 years!